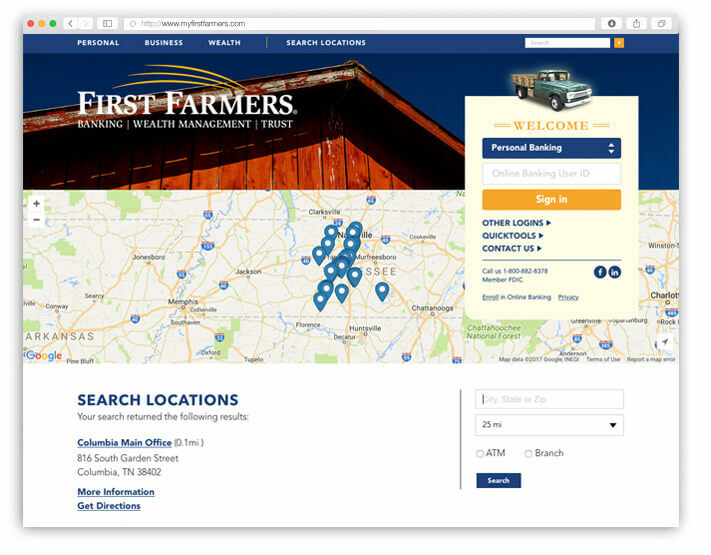 First Farmers & Merchants Bank is a rapidly growing community bank in the Middle Tennessee region. 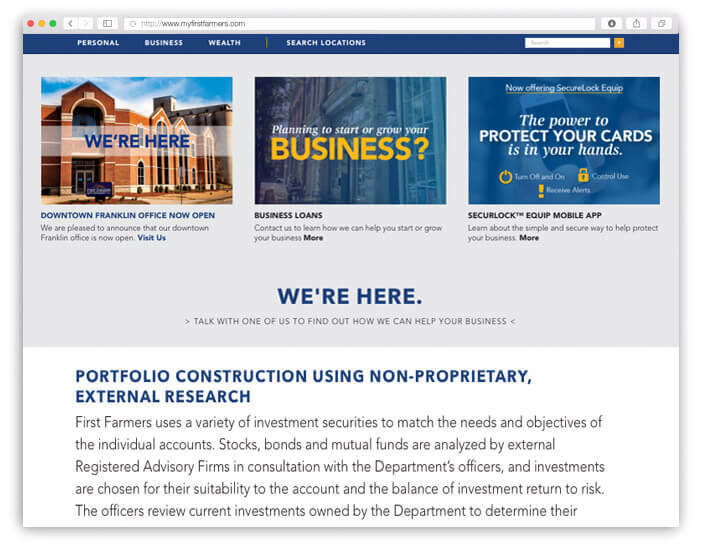 With over 20 financial service centers in 8 counties, First Farmers retains more than $1 billion in assets and over $4 billion under the management of their trust department. 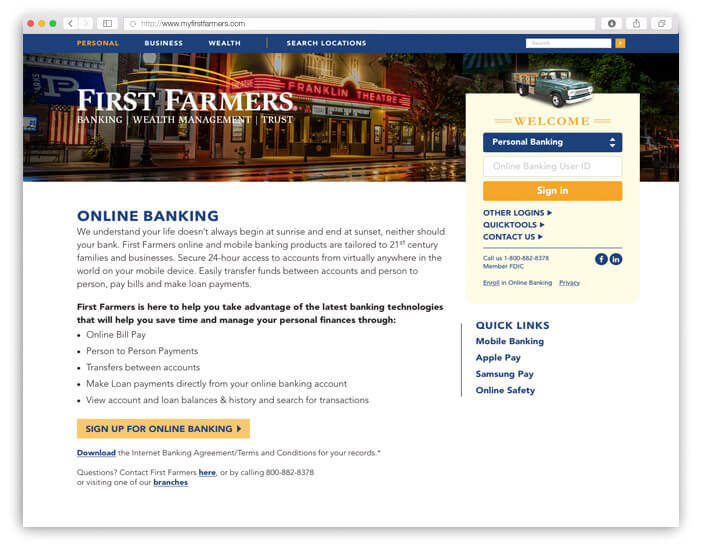 As the bank continued to expand and evolve, their website unfortunately remained stuck in the past, buried under the bureaucracy and red tape of a 3rd-party website management service. 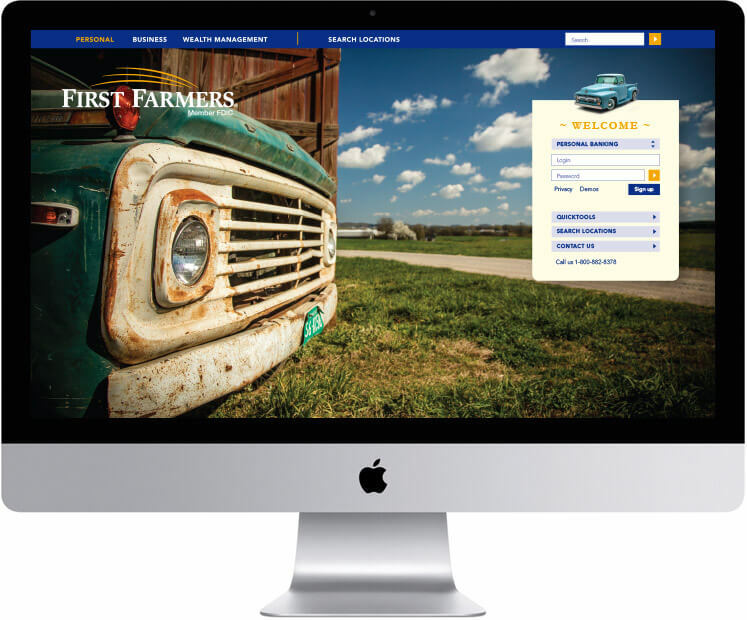 We worked closely with Delevante Creative in developing the new approach for First Farmers’ new site. By using an open source platform, we were able to break them free from the world of outdated technology that was wasting their marketing department’s time and money. 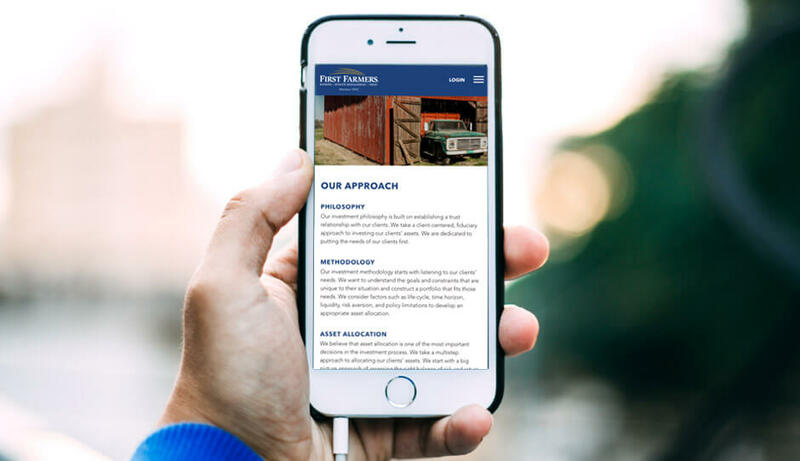 By analyzing their site’s traffic patterns, we determined that over 60% of their visitors were using a non-desktop device, such as a smart phone or tablet, to access the site. 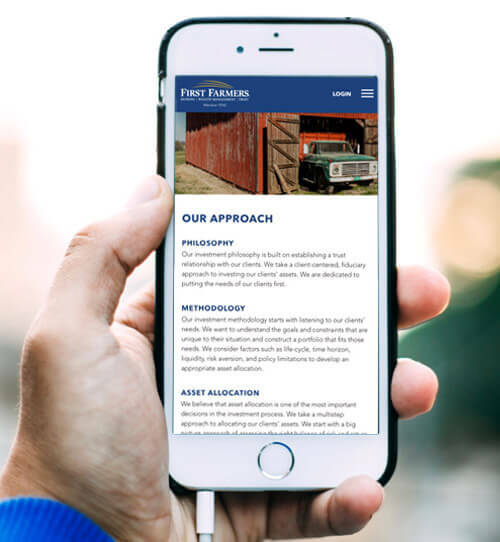 We were also able to increase their audience outreach effectiveness by designing the site to be responsive and adapt the user’s device without compromising on design and functionality.